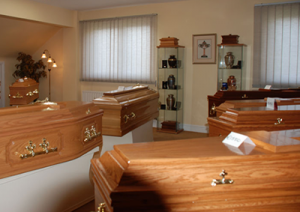 Forde’s Funeral Home will assist you with every aspect of the funeral services you wish for your loved one. This is a time for a family to reflect on the life of the deceased; we will assist, co-ordinate and oversee all aspects of the funeral services you wish to have in place. We have vast experience in religious, civil and humanist funeral services; each funeral is unique to the individual and we strive to achieve the funeral service which is both meaningful and personal to each family. After you make the initial contact with us, we will endeavour to provide you and the deceased with a dignified and personal service. We will liaise with you throughout the services and will co-ordinate and oversee all of the funeral arrangements. Hospital, Nursing Home or Doctor – we will ensure that all legal requirements have been met in order for us to remove deceased from their place of death. Clergy – we will arrange times for services as required. Cemetery / Crematoria – we will arrange times and all the necessary paperwork. Press – we will assist you in wording for obituary notice. Flowers – we can arrange fresh flowers or tributes for you. We also carry a wide selection of silk flowers in stock. Music – we can arrange soloist, organist, choir, harpist or string quartet. A family member is usually nominated to liaise with musicians once booked – they will discuss your preferences and make suggestions to make the service personal to you. The choice of burial or cremation is yours. There is little difference in the overall cost should the family own a grave. However, if a new grave needs to he purchased, then this can add significantly to the cost of the funeral. Cremation: We will carry out all legal and relevant procedures from the witnessing of the Application form, which must be completed by the nearest surviving relative or the executor; to organising the satisfactory completion of Medical Certificate by the deceased’s attending doctor (who must be over two years qualified and would have seen the deceased before and after death) or if necessary, the Coroner’s completion of a Coroner’s Certificate for Cremation and the removal (where necessary) of artificial implants e.g. pacemaker / defibrillator. During the cremation process, both the coffin and the body are cremated. Following the cremation, the ashes will become available usually within 48 hours. The options for the final resting place of these is varied e.g. Garden of Remembrance, Columbarium Wall, existing family grave or scattering in a chosen Iocation. Burial: If you choose burial, we can arrange for the purchase of a new grave, for those cemeteries that offer a choice of location we can arrange for the family to meet with the cemetery’s representative to select the new grave. A new grave normally accommodates 3 adult burials. We can provide a timber temporary grave marker to identify the grave until the headstone is erected. Where the family have an existing grave we can arrange for opening of same. 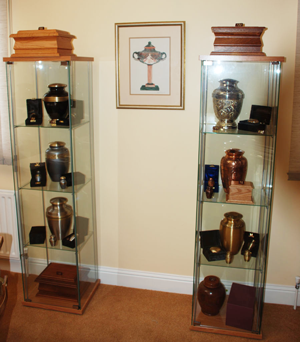 We have an extensive selection of coffins, caskets, ashes caskets, urns and keepsakes to choose from, at our showrooms in Turners Cross. As part of our commitment to the care of the deceased, we offer and recommend the service of embalming. Embalming is a process that preserves the deceased for viewing. It provides sanitation and preservation of the body, whilst also restoring a natural appearance to the deceased and assists in the prevention of infection to the living. This service is carried out by our certified professionals, at our specially equipped preparation rooms and is carried out to the highest possible standards. 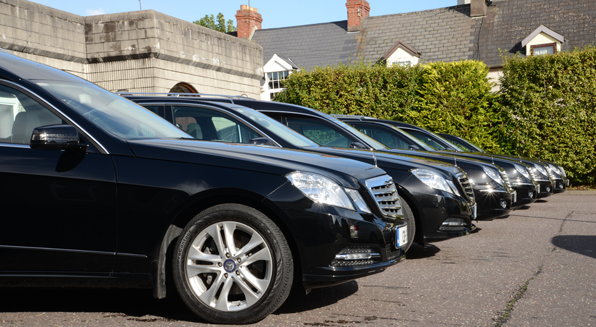 We have a large fleet of modern Mercedes hearses and limousines, which are available to hire to both our customers and to other funeral directors. We can also arrange a horse drawn hearse if required. At Fordes, we have many years experience of dealing with repatriation of deceased persons to and from Ireland. Death abroad: When someone dies abroad, a funeral director in the country where the death has occurred, will arrange all paperwork and flights for repatriation back to Ireland. We will liaise with the oversees funeral director in order to organise the funeral arrangements in Ireland when the deceased arrives home. Where travel insurance has been purchased the insurance company may cover the cost of repatriation to Ireland. Death in Ireland: When someone dies in Ireland and needs to be repatriated to another country, we can arrange all the necessary details. We will liaise with the local coroner in Ireland, the embassy of the country where the deceased is to be repatriated to, the airlines to arrange flights and the oversees funeral director to advise of all details. We will arrange all the necessary paperwork and ensure that all legal requirements have been adhered to. A pre-paid funeral plan allows any person the opportunity to plan in advance and to make financial provision for a funeral sometime in the future. Pre-paid funeral plans are often used to give assurance that the costs of a funeral will not be a source of difficulty at the time of bereavement. A pre-arranged funeral allows any person to plan in advance for the funeral services they wish to have in place at the time of their death without the obligation of payment. In the case of either a pre-paid or pre-planned funeral, it is advisable that you let a family member or a close friend know of your plans. Please do not hesitate to contact our office, where one of our dedicated professionals will discuss and advise on all aspects of funeral planning.